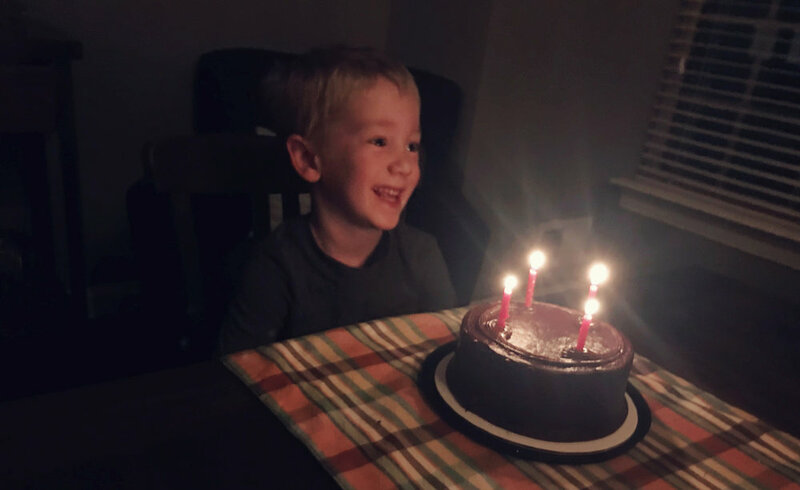 Yesterday we celebrated Ryan's fourth birthday with an outing to the National Aquarium in Baltimore and dinner at home with the family. This weekend, we will continue our celebrations with a party with his friends. When Ryan was born I was so full of anticipation. My first child! There was so much unknown to me and I had no idea what to expect, but I tried to not read too much or ask too many questions, and instead get to know him and let him become his own person. I’m still trying to do that, now four years later; trying to give him space to explore, discover and figure things out—and I am daily amazed by his curiosity and knowledge. My four-year-old Ryan is so many things. He’s a collector of rocks, big and small; a lover of chocolate; he’s sweet, but feisty; my partner in the kitchen, as he stands beside me on his step stool to help with cooking and baking; he's competitive and also likes to run fast, climb, and throw balls; he’s a builder, and loves to create with Magna-Tiles and Legos, and play in the dirt; he's introverted and loyal, and he's also a great storyteller; he loves cars, trucks, trains, fire trucks and construction sites; and when he says, “Mommy, you’re my best friend,” nothing else matters in the world.